Your Credit Report Affects Your Insurance Score! Payment history: Have you made late payments or missed a payment? Length of credit history: How long have you been using credit? Current balance on each account compared to your highest balance: For example, if you had high credit card balances before are they lower now? Number of credit accounts: How many accounts do you have? This may include credit card accounts or installment loans. An insurance score does not take into account income, race, gender, religion, marital status, national origin, geographic location. Why do insurance companies use insurance scores? Insurance scores provide an objective tool that insurers use along with other applicant information to better predict the likelihood of a consumer to file a claim. Insurance scores also help to streamline the decision making process, so that policies can be issued more efficiently. By accurately predicting the likelihood of future claims, insurers can control their risk, enabling them to offer insurance coverage at a fair cost. Because information obtained from a credit report is used to determine an individual’s insurance score, customers should periodically obtain a copy of their credit report to confirm its accuracy. 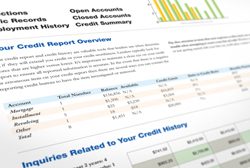 Your credit report can be obtained from the three major credit bureaus. What can I do to improve my insurance score? Apply for and open new credit accounts only as needed. Although it is generally good to have established credit accounts, too many credit card accounts may have a negative effect on your score. Over time, responsible use of credit can increase a customer’s insurance score. Keep balances low on unsecured revolving debt like credit cards. High outstanding debt can affect an insurance score. Pay bills on time. 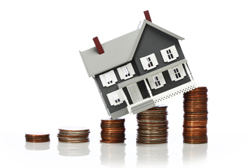 Delinquent payments and collections can have a major negative impact on an insurance score. If you are a Wisconsin resident and would like more information on improving your insurance score, contact knowledgebroker, Dan Wolfgram.